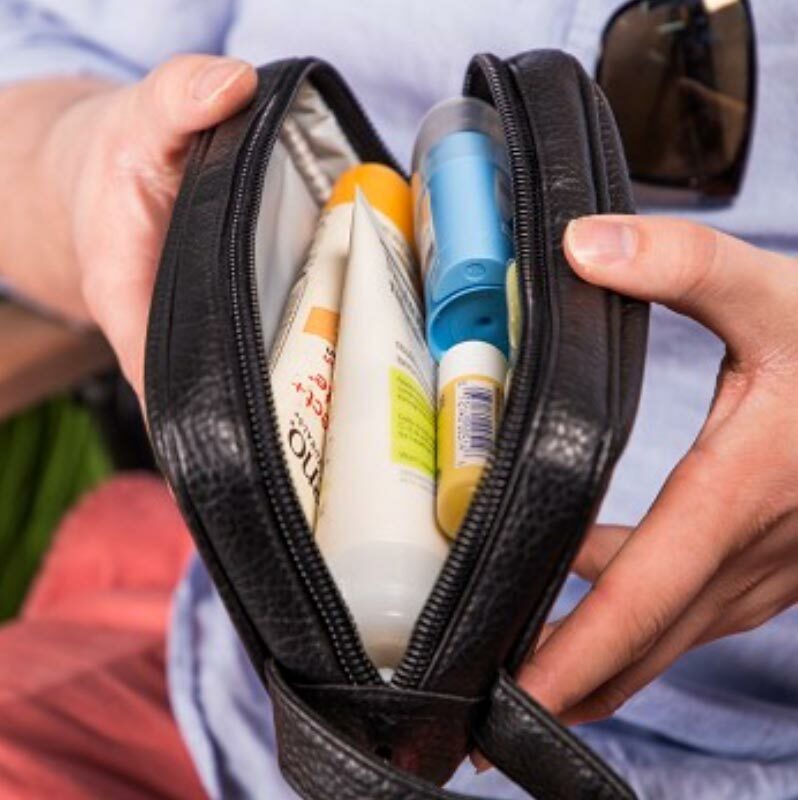 Sometimes you need to carry along heat-sensitive items – like medicines, cosmetics, or even a snack for later. You need to keep these items at a cool temperature, but there are times when you don’t want to look like you’re traveling with a lunchbox. 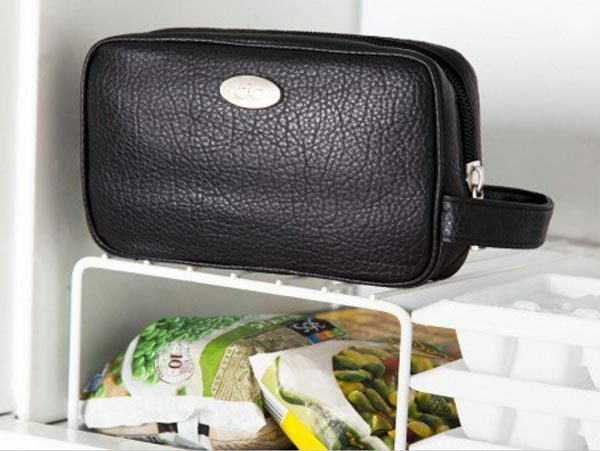 The Black Insulated Bag from Cool-It Caddy does the job of keeping things cool while looking more sophisticated. The bag has a textured leather look, but it is made of polyurethane. Coolant inside the bag’s structure replaces the need for those blue freezer packs. You can keep the bag in the freezer so it’s ready when you need it. The Cool-It Caddy insulated bag measures 8.5″ x 5.5″ x 3″, so it’s big enough to carry most anything you need. It can keep contents cool for up to five hours. If you are carrying medicine, you should monitor the temperature to be sure the meds aren’t getting too cold or too warm. To ensure best performance, keep the bag out of direct sunlight, especially on really hot days. The bag is water-resistant, so you won’t need to worry about soggy sandwiches from splashes while you’re lounging around the pool. The Black Insulated Bag from Cool-It Caddy is $33.95 at The Grommet.